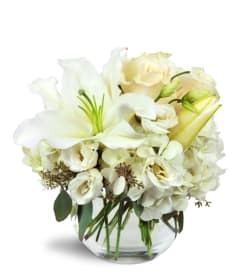 Joyful memories of a loved one are never forgotten. Express your compassion and remembrance with this stunning, impressive tribute. 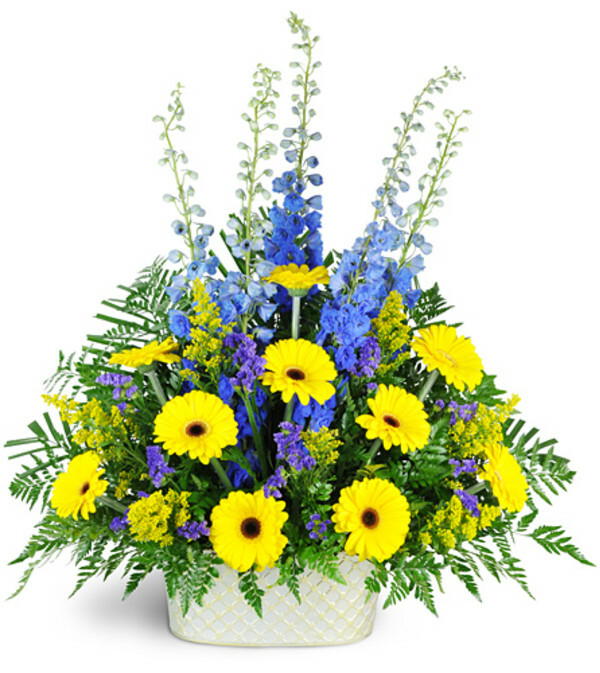 Featuring delphinium, yellow Gerbera, solidago, statice, and more, in tones of blue and yellow, this arrangement is appropriate to send to the funeral home or service. 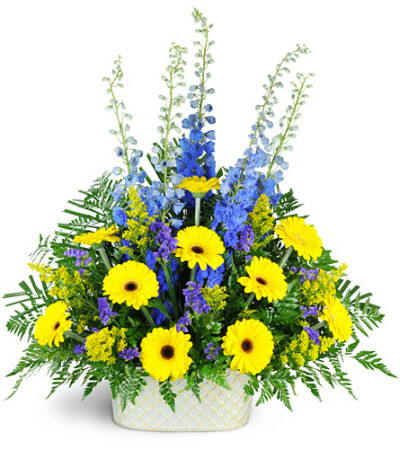 Super easy website, great selections and my flowers were delivered next morning. I will use this service again. 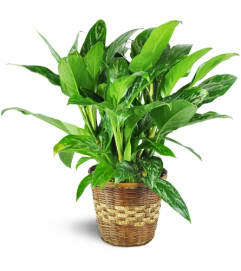 The flowers were much more affordable than other flower delivery services in the area. 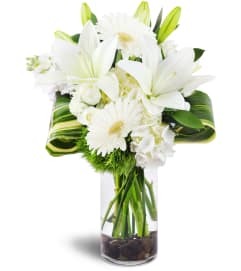 I also had to change my delivery date at the last minute and the florist handled that for me with no issue. My only concern was that she didn't have all the necessary flowers for the bouquet that I chose so she had to substitute with other flowers. Someone's Getting Flowers by Fall Creek is a Lovingly Florist in Humble. Buying local matters. Discover how Lovingly supports local florists. Copyrighted images herein are used with permission by Someone's Getting Flowers by Fall Creek.